Pack up those Aperol Spritz drinks, the autumn is coming so get the kettle on. Bluebird Tea Co are a fantastic tea shop in Brighton that make drinking tea, well, bit more exciting. They have just launched an Autumn collection and as I've come to expect from them, have added their own spin to some classic flavours. Their biggest USP is that their teas look amazing, full of ingredients you can actually see and taste. No dusty teabags here. My favourite of the set was the Spiced Pumpkin Pie Chai. This had gorgeous notes of vanilla, cinnamon, ginger and clove and (my inner child squealed a little) Halloween sprinkles. I KNOW. 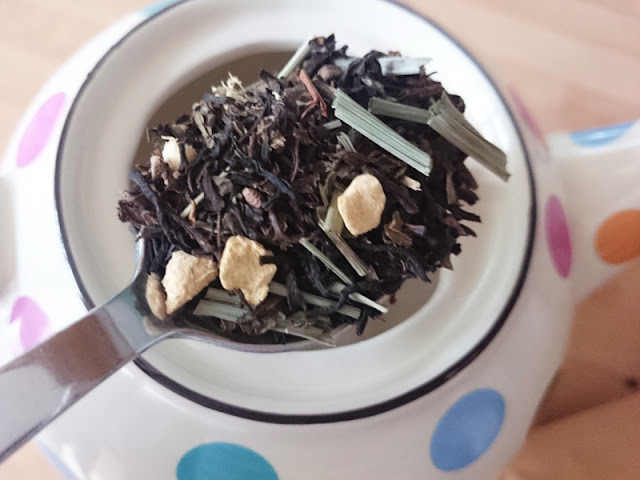 Pudina Chai on the other hand was very fresh with strong peppermint against cardamom, lemongrass and ginger. 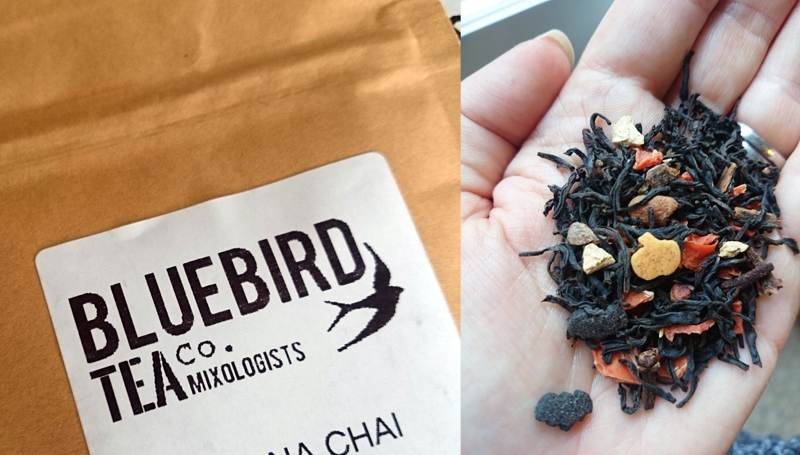 I think the chai range at Bluebird is particularly good, and I've loved working my way through them. I wasn't nuts for the Nuts About You one. The tea seemed to taste overwhelmingy of almond extract. Shame as the other ingredients (almond pieces, cinnamon, coconut flakes, mallow flowers) sounded like a beautiful combination. The inevitable seasonal sniffle can be soothed with their Kung Flu Fighter! with eucalyptus leaves, aniseed, lemongrass, chilli, echinacea and peppermint. I thought this would be more medicinal than enjoyable, but actually was rather nice to curl up on the couch with. It's a great idea that they keep things interesting with seasonal specials but their main range is worth a look too. They have experience packs which are a good place to start. Pop into the shop or order from http://bluebirdteaco.com. 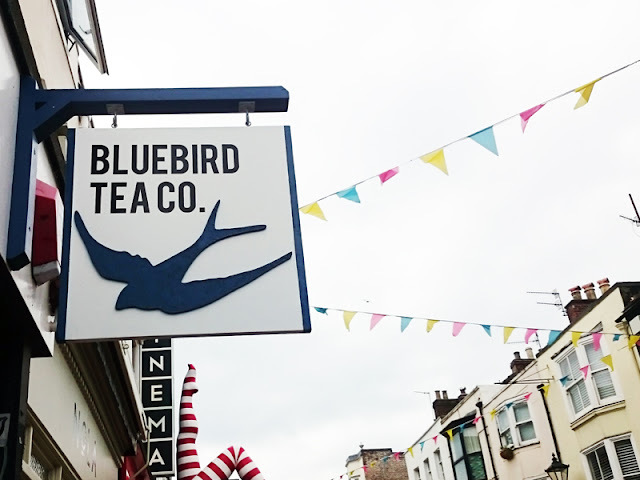 Bluebird Tea Co are a fabulous Brighton brand so support them!